We've been chronicling a series of DRM issues happening with the Xbox One post-release. The system has already undergone quite a bit of criticism for its original policies, and even after the reversals the system still seems to hinge on some sort of DRM mechanism that Microsoft hasn't fully explained... until now. Previously, we wrote about the Killer Instinct DRM fiasco that resulted in a massive uproar over the potential return of the 24-hour check-in. Microsoft made it clear that the 24-hour check-in was not returning. Then, it was discovered that there were some massive issues with the DRM of NBA 2K14, so much so that it was preventing some users from playing the game properly, even when the user had the disc. Recently, the issue cropped up again. 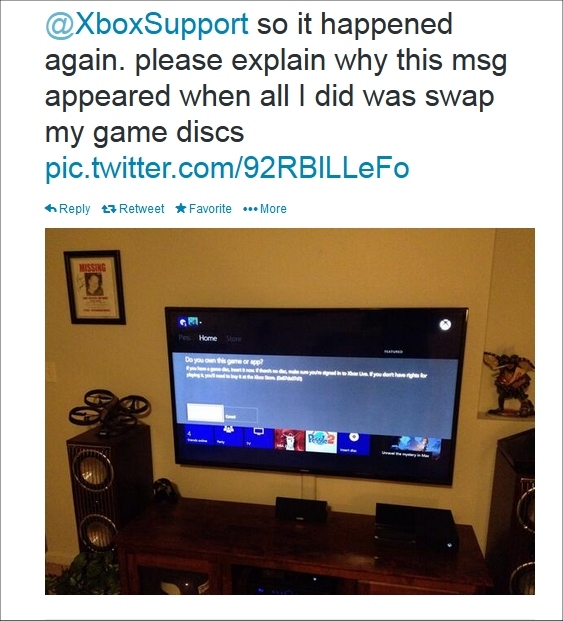 This time the issue occurred while trying to swap discs. No hanky panky, no wife-swapping, no disc orgies, just standard game swapping. The issue is illustrated below, along with the complaint to Xbox Support. When we previously wrote about this issue and asked Microsoft about it, there was no response and no solution. If someone switches games why on Earth would a DRM screen prevent them from playing a game they already own? It's as if Microsoft didn't know about the DRM in their own machine. Heh, imagine that? After a couple of more queries with the Xbox Support and a bit of playing a game of racquetball with information, Xbox Support finally caved and offered up an explanation as to why the disc-swapping DRM errors are still persistent when someone tries to play a game after putting in the disc and being met with an error message. Check out the response below. Well call me Sally and color me crazy, but why does it assume the user loses rights to the content when play is suspended? 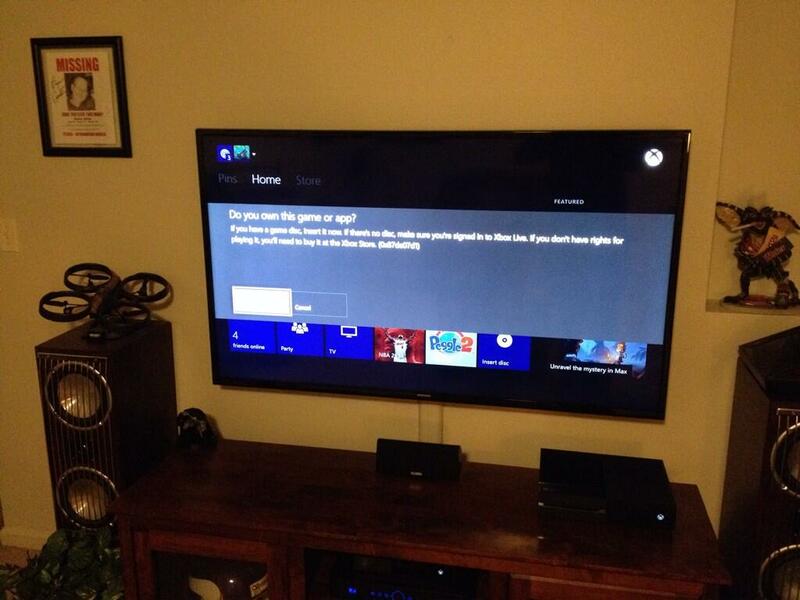 For those of you who don't know, the Xbox One doesn't automatically close out a game when you stop playing it. You manually have to exit the game from the “Home” screen. If you don't close out an app or game, it'll continue to run in the background. This is one of the problems that causes the RAM to overflow, which can sometimes lead to the green screen of death or the system hanging when trying to run apps at a later time. And they say the whole point of a console is to avoid having to troubleshoot them like PCs. Pfft. 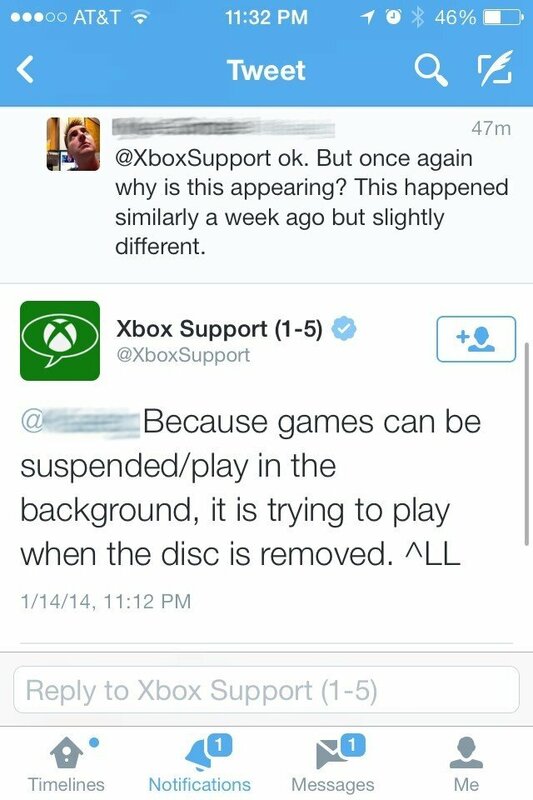 Anyway, if Xbox Support is to be trusted (and you'll have barter your trust with Microsoft like a fresh fish trusts that the prison shower guards will keep their buttocks from becoming a genital transportation route like the Mont Blanc Tunnel ) then this can be solved by closing out suspended games before swapping discs. This is assuming that all occurrences of this particular DRM scenario only happen when a game is suspended. Although, a safe bet for fence sitters gauging interest in a console to purchase, is to avoid the system that was drenched in more corporate red tape than the revised Napster after it was pilfered and plundered by the RIAA.